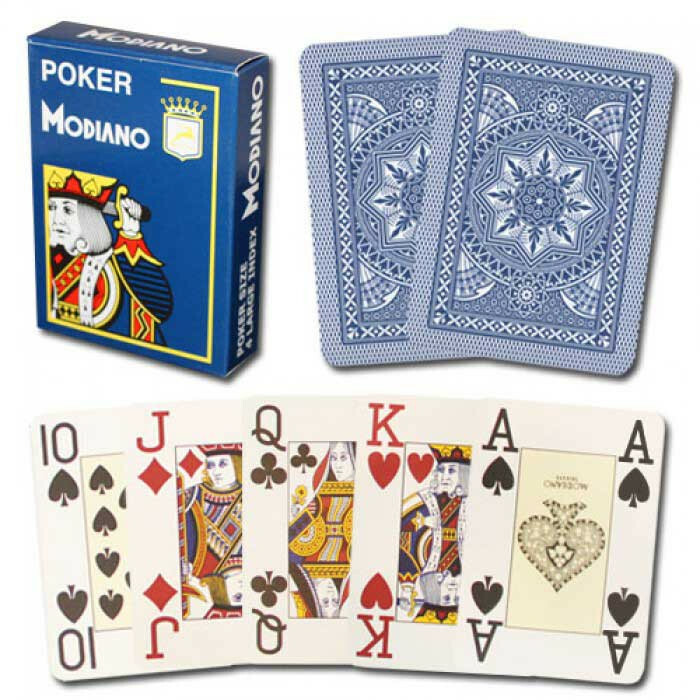 Set the table with a professional quality deck of plastic playing cards. 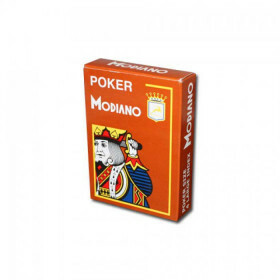 The Modiano Cristallo series provides high quality plastic playing cards in an individual poker size deck. 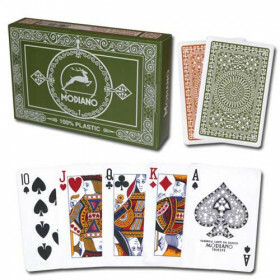 This Modiano Cristallo Blue deck is poker size (3.5" x 2.5") and comes with a special 4PIP jumbo index (size of the numbers on the card). 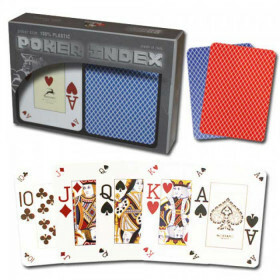 It's the perfect set to keep around for a quick game, or to add a professional touch to your weekly table. 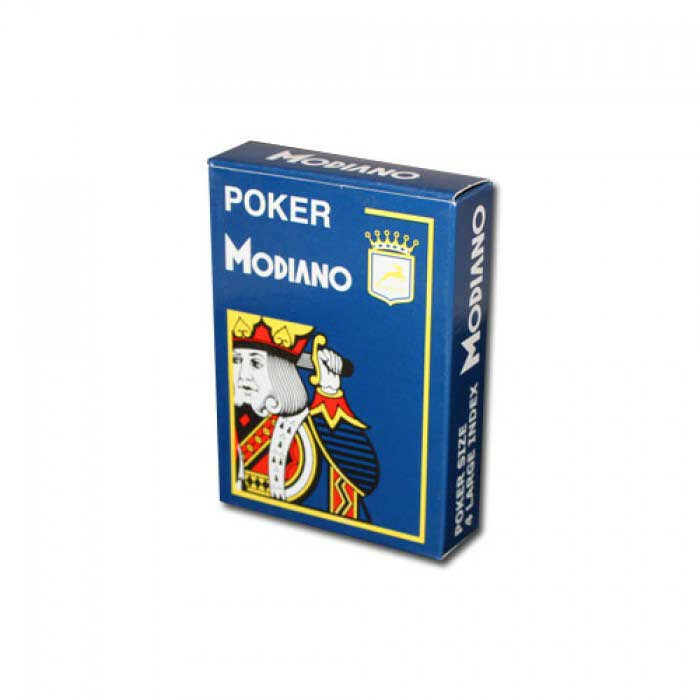 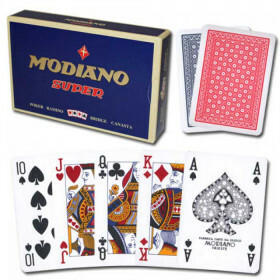 Modiano playing cards are one of the finest playing cards available in the world. 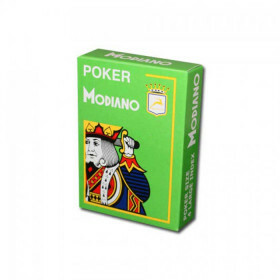 Made in Italy, Modiano has built a name for high quality. 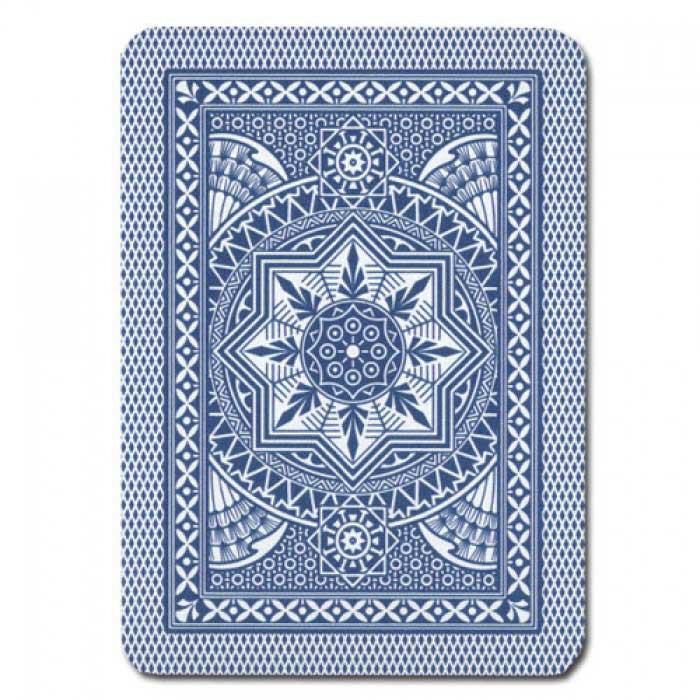 These cards are generally thicker than some other plastic playing cards, giving you a much better feel while keeping the durability and performance you expect. 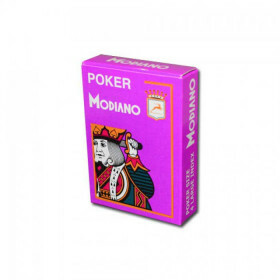 The Cristallo line of cards from Modiano provides hgh quality plastic playing cards in an individual deck in a variety of colors.